A mail order and retail plant nursery featuring unusual and hard to find perennials, ornamental grasses, shrubs, trees and vines that flourish in a variety of garden settings throughout the country. Photos by Marion Brenner, Claire Takacs, and Jessica Alexis Friedland. 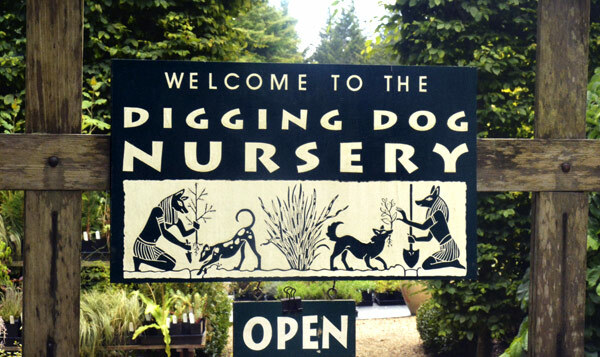 Digging Dog Nursery is a family-owned nursery and mail-order business situated on the Mendocino Coast in Northern California. Our nursery offers healthy and vigorous plants grown in our own custom potting mix that includes a sterilized sandy loam. We propagate the majority of the plants we sell. 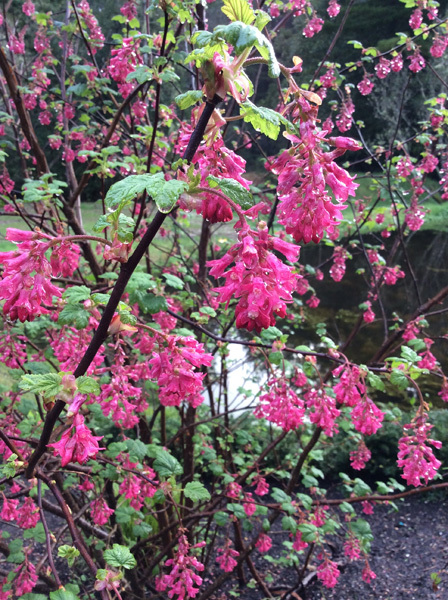 For more than 20 years, we have been offering a selection of tried and true garden performers, as well as many unique and easily grown varieties that emphasize long blooming periods, and year-round appeal with an array of buds, blooms, seedheads, berries, intriguing foliage, or bark. In the following pages, you will find a versatile and extraordinary collection—a plethora of plants for formal or informal spaces, as well as naturalized meadows, shady woodland areas, Mediterranean and water-wise gardens, the rockery, and even some market plantings with a focus on fresh or dried arrangements. 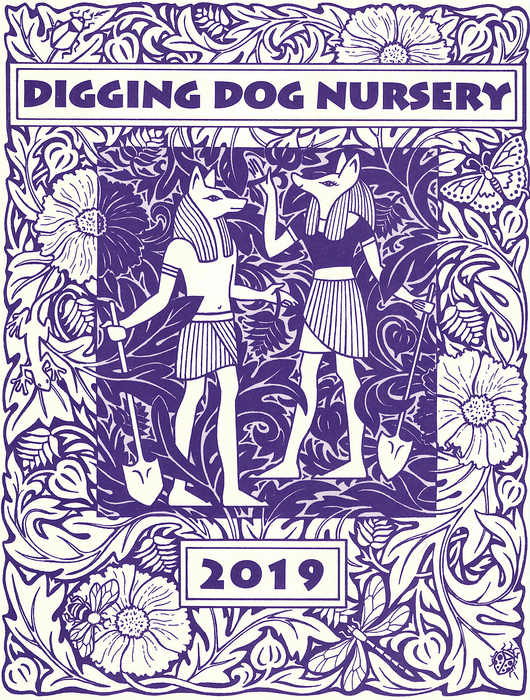 You can order plants from our website, from our printed catalog, by phone, or come visit our nursery. Our nursery is open to visitors seasonally.